Who would you like to see at 1/4 speed? So there has been a few skiers in the past were their videos have been slowed to 1/4 speed. TW Ragina Nate Matt B to name a few. But with the new crop of skiers making a name for themselves, I would like to see Freddy W and Manon C at 1/4...and others. Who would you like to see? A thing or two can be learned from them. For those who are unaware, it's possible to play just about any video on YouTube at 1/4 speed if you are using HTML5 for playback. Go to h t tp://you tube.com/html5 and make sure the box is checked for "The HTML5 player is currently used when possible." You'll then get a gear icon in the lower right that allows you to change the speed to .25 or other multipliers - so you'll be able to watch that Terry Winter video at 1/16 speed if you want. I would like to see someone on a Denali at 1/4 speed. Maybe Cale? That ski just looked so different to me in the way it finishes the turn and sets angle across course. Would be cool to do a side-by-side also to compare Mate and Freddie at 1/4 speed. How about @horton on the Denali at 1/4 speed as part of the review? Maybe it should be a standard component of all reviews. @horton wearing a powervest, Schnizt's hat, goggles, double reflex and a new ski to test. Seriously though, Freddie Winter would be fun to watch in slower mo. He can get it done as nicely as anyone and at times can drop huge bombs to stay in it. Wouldn't mind getting a look at Fredrick Halt either, never really seen him ski and the dude gets down the line. I would like to see @MS or Jed "skippy" Blackburn and 1/4 speed, preferable from the past cottonwood tourneys when they had massive yard sales. ENTERTAINMENT boys. Heck full speed Wim...there's like just one vid of that guy and that's it. I have about 5 or 6 sets of Wim from the 2010 era at Ski Ranch. @MS POST POST POST POST POST POST POST !!!!!!!!!!! If anyone can rap their head around what that guy is doing on the water, you will have unlocked a crap load of insight and the key to shortline... guaranteed. 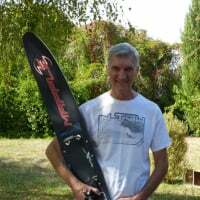 I always look for skiers who have similar advantages & disadvantages as myself - LFF & 5'5", so Wim is the person I periodically search for hoping to find a new video. @MS 2010 is more current than the one video available on YouTube. If you ever got the chance and enthusiasm to post those vids, it would be awesome! I have it on a DVD that was taken from my Sony tape. I will see if someone has the tech to load up. It is loaded with Susi, T Fin, T MO, Wim, CP, Chad, Danos and a few others. Anyone got a link to Nate at 1/4 speed? I need to ski back to the handle obviously. I would like to see a 15off how it should be ran for a 15offer. @lcgordon the problem with seeing these guys run 15 off is they generate so much angle and speed that people struggling to run 15 off can't do what they do. 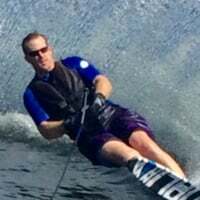 @lcgordon this video has my son running 32 mph/ 15 off. Not sure if it helps and he certainly isn't perfect but it isn't terrible either. He was just recovering from a concussion so he wasn't increasing the speed. Just and FYI: Any youtube video can be viewed at 1/4 speed. Just click on the "gear" in the window then "Speed" and pick the desired speed. Thanks for posting @Chef23. Its nice to see where he gets on and off his pull and how he comes into the bouy. I have watched seths videos and he is so good that I cant replicate that. 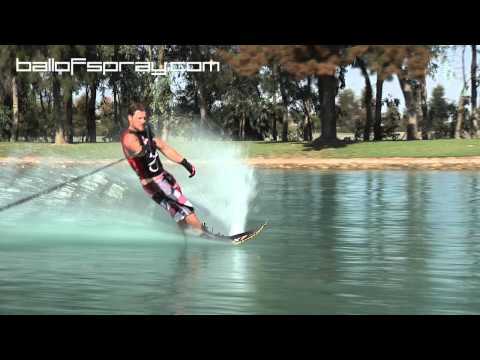 I watch @Horton video of the 26mph-36mph wake comparison. I feel like that helps me. But he is also pretty good and much better than I can do. Thanks again. @lcgordon I agree with you. My son has plenty of flaws but when that video was made he was running mid 22 off at 36 mph. Seth and Horton both generate so much more speed and angle out of the buoy that it is hard to translate to people that are learning. I want to see @skidawg in 1/4 slow motion at 11.25, 10.75, and 10.25 if he ever heals up and stops falling off his bike. If not that, then Ward drinking a Sweetwater in slomo would be good too!